If a picture paints a thousand words...then how many more can a video produce? I know many people prefer to learn by watching something being done as I too am a visual learner and so I hope these card making tutorials will give a clear step by step instruction guide, on how to achieve the subject covered. I have created separate sections on specifics. 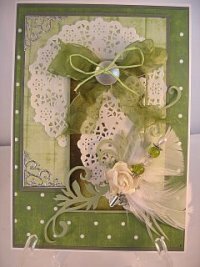 All these card making tutorials will be short and easy to follow and will cover lots of different techniques and ideas. I will show you new folds that you can try as your confidence grows and there will be something there for all levels of cardmaker. 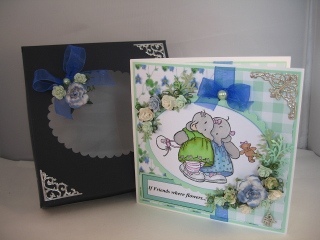 There will be techniques covered such as heat embossing and setting eyelets, which if you are new to card making will help you understand the process. I hope you will come back to visit these pages often as new tutorials are being added all the time. Give the projects a go and see what you can produce, and if there is anything you need to ask drop me a line and I will do my best to answer your queries.